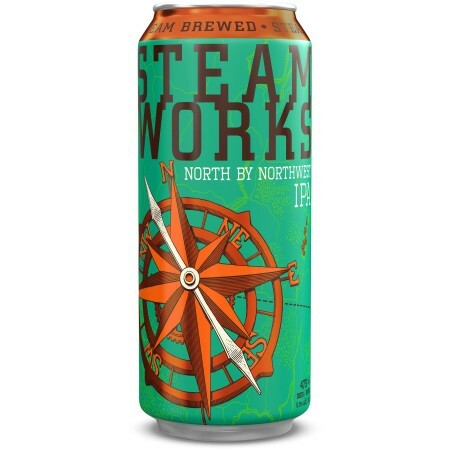 Paying tribute to the famous craft beer region that Steamworks calls home, the North by Northwest IPA will remind you of what made you love IPAs in the first place. This clean hop intensive brew features strong, dank, pine and citrus notes up front and finishes dry with a moderate bitterness. North By Northwest is featured in the latest edition of the Steamworks Hoppy Mash-Up sampler pack, alongside Flagship IPA, Session IPA, and Black Angel IPA. The package is available now at Steamworks, and soon at select liquor stores in British Columbia.